Sand Paper : Boatcraft Pacific, the home of wooden boat building. 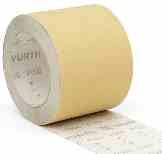 We stock the excellent Arizona yellow sand paper which is sold by the metre. It is ideal for general sanding and is very sharp and lasts well, Suitable for both hand sanding and use on 1/3rd sheet and 1/2 sheet orbital and random orbital sanders. European made. 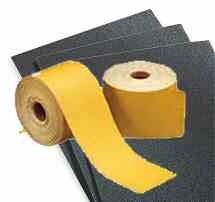 High-quality, highly flexible, waterproof abrasive paper with silicone carbide grain. Ideal for use wet or dry. Very suitable for fibreglass (epoxy, vinylester or polyester). We stock wet or dry sandpaper From coarse (80grit) to ultra fine ( 2000 grit).